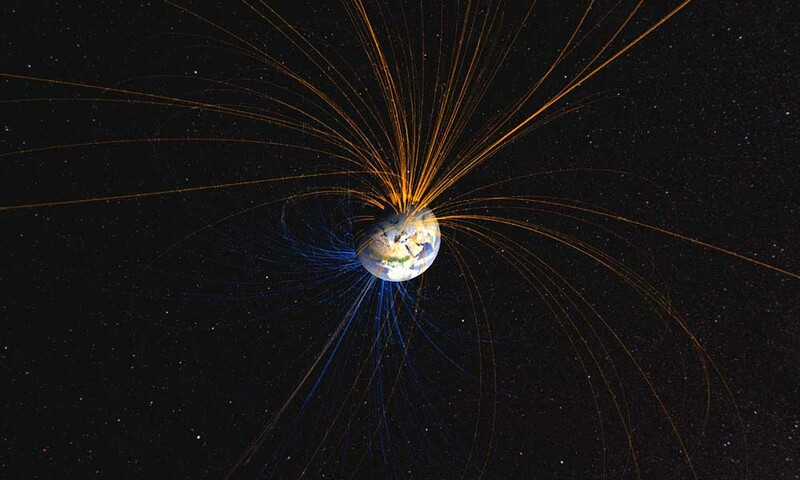 Earth’s magnetic field—reversing or fluctuating? John Tarduno, professor and chair of the Department of Earth and Environmental Science, researches the history of Earth’s geomagnetic field, which surrounds and protects our planet from harmful space radiation. This magnetic field reverses or flips irregularly every “several hundred thousand years or so,” write Tarduno and Vincent Hare, a postdoctoral associate in the department, in an article shared online by Newsweek. Such a major change would affect our navigation systems, as well as the transmission of electricity. The spectacle of the northern lights might appear at different latitudes. And because more radiation would reach Earth’s surface under very low field strengths during a global reversal, it also might affect rates of cancer. We still don’t fully understand what the extent of these effects would be. Scientists do not yet know for certain if the Earth’s magnetic field is currently reversing or simply fluctuating, but the work of geophysicists like Tarduno, Hare, and other researchers could provide valuable insights about this planetary process. The full article is available online at Newsweek and The Conversation.